An alien building was allegedly seen on Rosetta Comet 67P by YouTube user Joe White of Art Alien TV on Nov. 31. The alien building looked similar to a monastery building on Earth. In an e-mail to International Business Times, Joe White of Art Alien TV claimed that the building looked liked a large building structure and had an apex roof, chimney and windows. He said that there was a raw image as well as negative versions of it on the Web site of the European Space Agency. He provided a link of the original image which was released by the ESA on Sep. 17. White said that he estimated that the building was approximately 100 metres in length, but he added that it could be a lot bigger on that. He based the estimation on the length of the comet which was 4,100 metres. He explained that he was taking a close look at the images of the comet and then he rotated the image. At that time, he noticed the building and immediately showed it to his wife who said that it looked like a monastery, and since then, he has been referring to the building as monastery. He called the building Whites Monastery. He said that there were lots of channels on YouTube as well as people who were trying to look at the structures on the comet and publish them to provide information to the public about it. He went on to say that there was no photo enhancement done on the image apart from contrast and negative processing. According to White, the same results could be achieved with the help of a basic software. He said that all one needs to do is to download the photo, rotate at 45 percent and then zoom in. 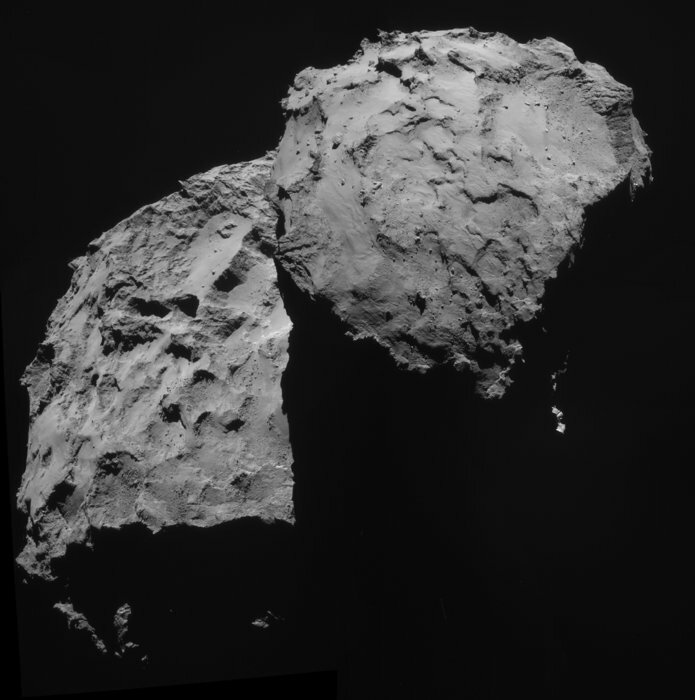 He published a video of it on YouTube with the title "Alien Building Found On Rosetta Comet 67P" on Dec 4. The video has managed to get about 450 views in a matter of a day.